Please mark your calendars for this new series spotlighting our Library Fellows. 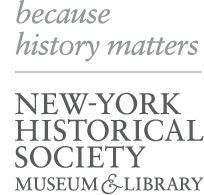 All programs run 5–6 pm at the New-York Historical Society. Light refreshments will be available before and after each event. Please RSVP below.